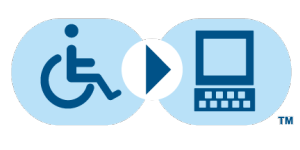 <p”>Whether you are going to Auburn or Alabama, a local community college, a tech school, or any other post-secondary institution, assistive technology can help you be successful in accessing Curriculum. Make sure to check out the other modules in the Education category for other ideas and help in the education setting! Also please check out our Education Pinterest Board for more wonderful ideas! The following video and handouts will inform you about studying and technology. Presented by Laura Parks, M.ED. Here are some links directly to the Office of Disability Services for Public Universities, Public 2-Year Colleges, and Non-Profit Independent Institutions. Colleges may require an evaluation (even if had IEP or 504 in high school) in order to document disability and how it affects your academic performance. The student is responsible for the cost of these evaluations, but Vocational Rehabilitation may be able to assist with funding. Electronic textbooks vary greatly. Many are cheaper than the print version, but you have limited time to access it (usually the length of a semester), may need internet access, and may not be accessible. Purchase carefully and read the return policies. *Links directly to their accessibility policy. Dictation in Computers: most computers allow dictation so you can have your speech transcribed into text. New Computers now have built-in microphones and few need external microphones, but external microphones may increase the quality of sound spoken. Also, if you need help with hand-written notes, audio notes, or typing, there is a device or program for you! Please check out our “Note Taking” Module for more information on AT and note taking! Follow TASC’s board AT- Education on Pinterest.